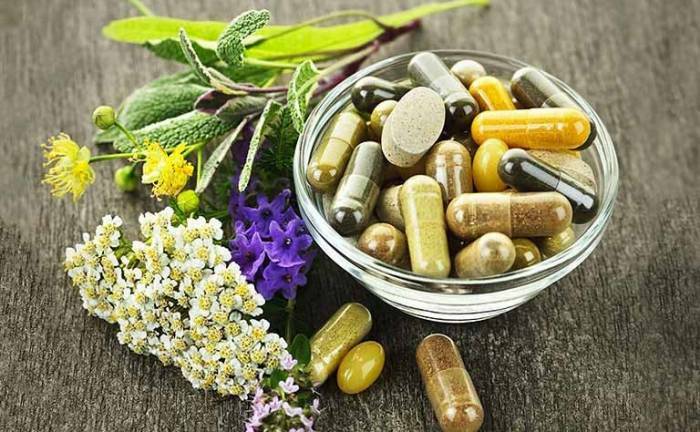 Dietary supplements are a contentious topic in the nutrition world, with some dietician arguing that a balanced diet means you don't need to be popping pills, as all of the vitamins and minerals should be accounted for. Meanwhile, others point out that it can be difficult to get all the nutrients we need from our plates alone and advocate supplements as an easy alternative to keeping our bodies in peak condition. However, after new research revealed that, contrary to popular belief, omega-3 supplements do nothing to prevent heart attacks, while vitamin C capsules could be doing more harm than good, it’s clear that when it comes to supplements, not everything is as it seems. Hence why we asked top dieticians to round up the most important supplements, who should be taking them and what they might offer in terms of nutritional benefits. Out of every vitamin available, vitamin D is the ubiquitous necessity, experts claim. Typically, it's obtained naturally via sun exposure and is very difficult to absorb from food alone. “The Department of Health recommends that all adults (including pregnant and breastfeeding women) and children over one year should consider taking a daily supplement containing 10mcg of vitamin D, especially during the autumn and winter to prevent vitamin D deficiency, as we do not make enough under their skin,” explains consultant dietician Helen Bond. Those with darker skin tones and people over the age of 65 should consider taking a supplement all year round, she tells The Independent, as they are more at-risk of vitamin D deficiencies. This is an important one for young women with heavy periods and vegans or vegetarians, explains Bond, particularly in light of recent stats released by The National Diet and Nutrition’s survey which revealed that 27 per cent of women have low iron intakes. For girls between the ages of 11 and 18, this figure rose to 54 per cent. Iron deficiency can lead to anaemia, resulting in fatigue, shortness of breath and pale skin. It can also weaken the immune system. This is crucial for those following a vegan diet, as B12 is predominantly found in animal products such as red meat. “Vitamin B12 is important for a healthy nervous and immune system and is needed to make red blood cells,” says Bond. For more on the specific supplements vegans should take, given that their diet absconds a number of major food groups, click here. While calcium is rich in natural sources such as dairy and leafy vegetables, consuming additional levels via a supplement might be advisable or those who have bone mineral density concerns, as calcium is crucial in maintaining good bone health, registered dietician Priya Tew tells The Independent. Low levels of calcium in the blood, known as hypocalcemia, can manifest in symptoms such as muscle spasms, cramps and, in severe cases, seizures. It can also be caused by not having enough vitamin D.
This is one specifically for pregnant women, explains leading Harley Street nutritionist Rhiannon Lambert. “All women thinking of having a baby should have a folic acid supplement,” she tells The Independent, “as should any pregnant woman up to week 12 of her pregnancy." This is because folic acid can help to prevent neural tube defects such as spina bifida, she explains, which is when a baby's spinal chord has not developed fully in the womb, resulting in a gap in the spine. While nutritionists will generally advise adults to get their intakes of these vitamins from their diets, given that vitamin A is rich in foods such as carrots and sweet potatoes while C is found in high levels in kiwis and red peppers, it’s a different matter altogether for children. “The Department of Health recommends that all children from six months to five years who are having less than 500ml (one pint) of infant formula a day, take daily drops with Vitamins A, C and D,” explains Bond, “especially when they are learning to eat a variety of food and if they are fussy eaters, as their diet may not be varied enough to provide these. “These vitamin drops help prevent vitamin deficiencies and maintain normal growth and health in the child."